So what's the science behind the ultra-creepy noises cicadas make? As with most things related to the animal kingdom, it has to do with attracting a mate. According to Cicada Mania, male cicadas spend most of their short adult lives looking for a female with whom they can make some babies. After emerging from the soil, which occurs annually, every 13 years, or every 17 years depending on the species, male cicadas mature from nymphs into adults and start singing to attract a lady friend; once they've mated, she lays the eggs in a tree and the cycle continues. By the way, according to the Washington Post, male cicadas keep singing until the bitter end. The Post further reports that the sound is produced by panels beneath a cicada's wings; known as tymbals, these panels vibrate rapidly to create the droning sound, which is then amplified by the insect's mostly-hollow body. 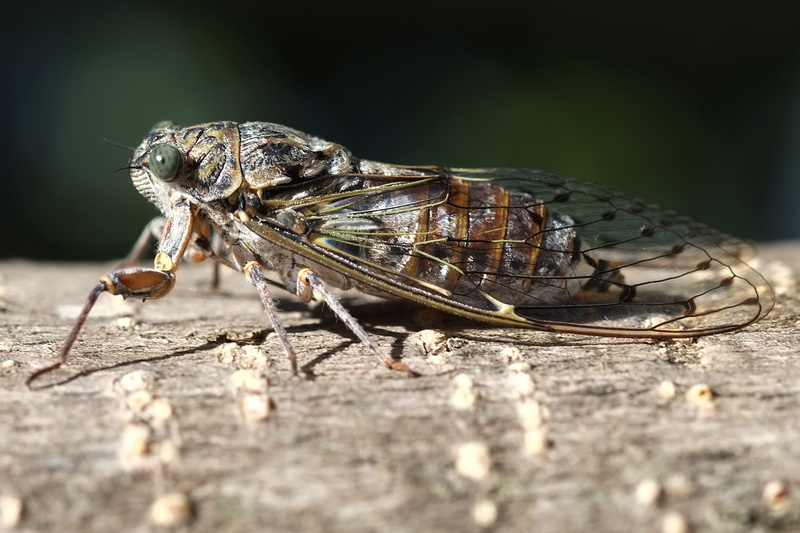 A single cicada can be loud, but they're practically deafening in the form of a swarm — and unfortunately, according to the U.S. Department of Agriculture, a new brood emerges somewhere pretty much every year. Interestingly enough, cicada songs are generally specific to the species and individual insects; what we think of as a "cicada call" is usually a blend of the sounds an entire swarm makes. There you have it! If you live in the northeastern United States, now you know a little more about the billions of visitors you're expected to see in the next few weeks. Just don't get too attached to your new friends — adult cicadas tend to die off within six weeks of reaching maturity. Whomp, whomp.